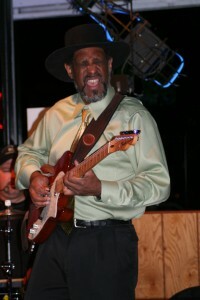 Tonight organizers secured one of Seattle’s best blues talents to headline in their Bothell Music Festival 2011. Chester Dennis Jones has wowed fans for years in the Pacific Northwest and will now be one of the lead acts at the Music Festival. Chester Dennis Jones recently performed at the Tacoma Freedom Fair. “Then something amazing hit like a ton of bricks. I thought that Slim Harpo and Luther Allison came back to life to blow the doors off the building. I saw The Chester Dennis Jones Band at the Mt. Baker Blues Festival last summer and thought that they were a national act flown in from Chicago. I was wrong: they are a Tacoma area band.